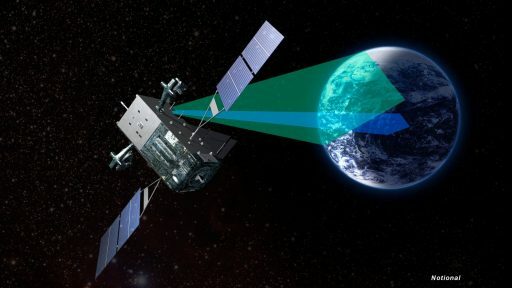 Lockheed Martin announced this week that the SBIRS GEO-3 missile warning satellite has reached Geostationary Orbit and delivered its first light images, the first step in a multi-month commissioning campaign to ready the satellite for operation under a critical U.S. defense program, designed to detect and track missile launches to provide advance warnings of any imminent threat. The satellite’s trip to Geostationary Orbit appeared to take longer than expected, indicated by amateur observations and an unusual silence from the mission’s operators following the successful launch back in January. 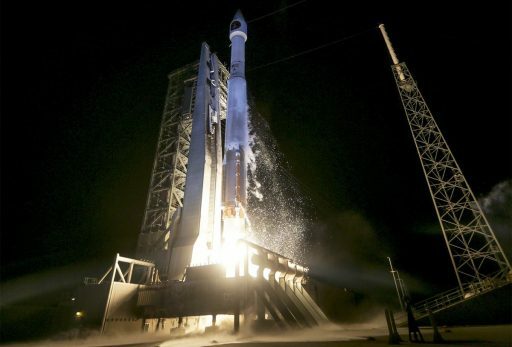 The third satellite for the Space-Based Infrared System enjoyed a smooth launch in the night of January 20, blasting off from Cape Canaveral atop an Atlas V rocket. Orbital data provided after launch showed the spacecraft in its planned transfer orbit of 185 by 35,822 Kilometers at an inclination of 23.3 degrees. From there, the $1.2-billion satellite was to use its Leros-1c engine to maneuver into a nearly circular Geostationary Orbit where its speed matches that of Earth’s rotation to allow the satellite to remain centered over a certain point of the planet. The original orbit-raising plan for SBIRS GEO-3 called for six firings of the Leros-1c main engine over a nine-day sequence followed by a period of drifting near Geostationary Orbit to reach the planned checkout location. Lt. Gen. Samuel Greaves, Commander of the Space and Missile Systems Center, Tweeted on January 26 that the first of six orbit-raising maneuvers had been completed. By early February, satellite trackers reported SBIRS GEO-3 was still in an elliptical GTO with a period of around 20 hours and only slow progress was seen based on radio tracking measurements carried out in the first half of February by satellite tracker Scott Tilley based in British Columbia, Canada. Tilley lost track of GEO 3 around February 15-19 when the satellite resumed maneuvering toward a GEO location. 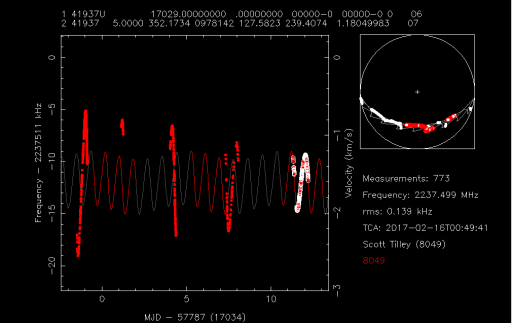 Observer Brad Young found SBIRS GEO-3 in Geostationary Orbit on February 21 at a position around 90 degrees East over the Indian Ocean. The latest tracking elements (dated March 18) show the satellite at 93°E. It took SBIRS GEO-3 almost a month to enter a position in GEO, much longer than the planned nine-day orbit-raising campaign. 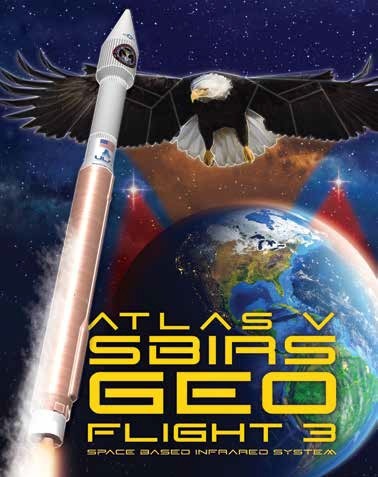 SBIRS GEO-1, launched in 2011, needed less than 16 days to reach Geostationary Orbit and the second SBIRS satellite needed 35 days from its March 2013 liftoff to achieving first light (SBIRS GEO-3 needed 55 days). Neither satellite builder Lockheed Martin or the U.S. Air Force as the systems operator commented on the longer transfer time needed by SBIRS GEO-3. The launch of the newest SBIRS member had to be delayed from an initial October 2016 target due to concerns associated with the satellite’s main propulsion system after a commercial communications satellite using the same Leros engine variant as SBIRS encountered trouble on its way to GEO. These reviews eventually cleared SBIRS GEO 3 to fly ‘as is,’ though it is entirely possible that additional time was taken in between main engine burns to fully verify the performance of the engine before committing to subsequent firings. Lockheed Martin reported this week that GEO 3 had successfully entered operations in Geostationary Orbit, deploying its sun-tracking solar arrays, antenna wing assemblies and light shade. The first images from the spacecraft’s high-fidelity infrared vision were received on March 17 and mark the start of a multi-month checkout and calibration activity before placing the satellite in active duty which will likely involve an orbital relocation. “With the satellite successfully on orbit, we are now working to ensure GEO Flight 3 continues the outstanding performance trends demonstrated by its predecessors, including better-than-specified sensor pointing accuracy and the ability to detect dimmer targets than expected,” said David Sheridan, vice president of Lockheed Martin’s Overhead Persistent Infrared systems mission area. The $19-billion SBIRS program currently operates three satellites in Geostationary Orbit as well as three hosted payloads on NRO satellites in Highly Elliptical Orbits that cover blind areas in the high-latitude regions not easily visible from Geostationary Orbit. Each of the satellites hosts a scanning sensor that progressively scans the entire visible disk of Earth to identify ICBM launches and a staring sensor that can be kept focused on areas of interest and is capable of identifying the faint signatures of short-range missiles. SBIRS can also detect other infrared events such as wildfires, volcanic eruptions and space debris re-entering the atmosphere in a blaze of fire. 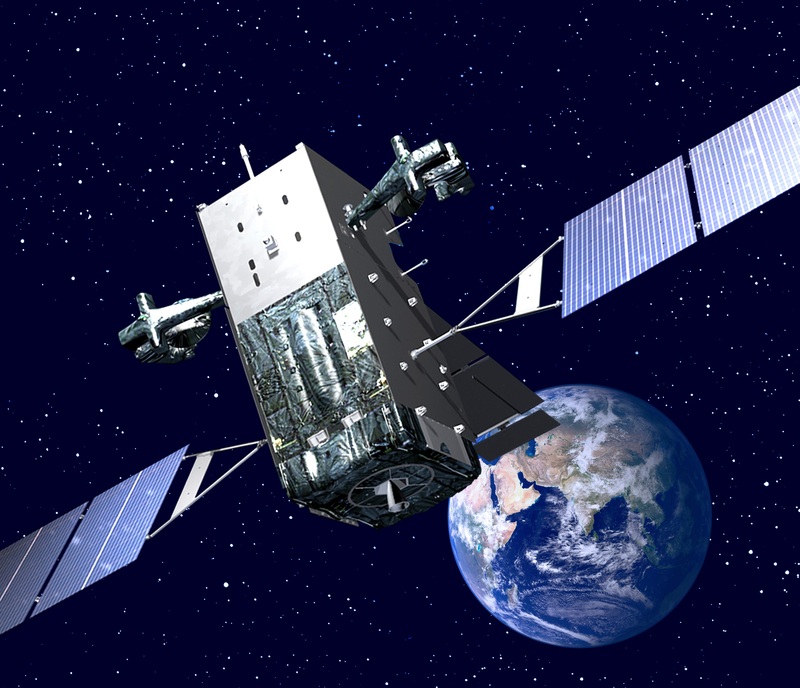 SBIRS GEO-3 is the first in the series to operate with an upgraded ground system architecture that was formally accepted for service last December and is designed to unify command and control of the SBIRS program as well as its predecessor, the Defense Support Program. The new ground system will further reduce warning lead times by collecting data from all space-based infrared assets. The fourth SBIRS GEO satellite is currently in the final stages of assembly and testing at Lockheed’s Sunnyvale facility in California, targeting launch on November 9 atop an Atlas V rocket. 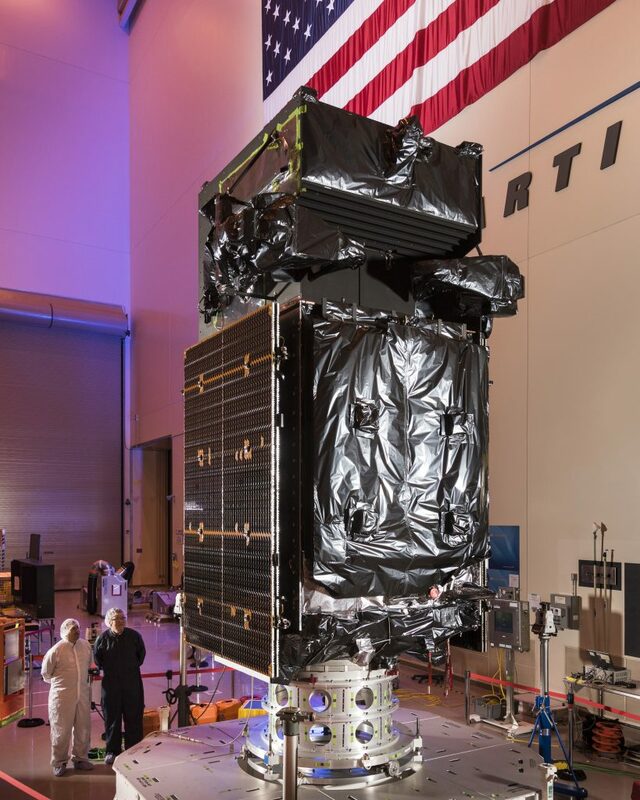 SBIRS GEO 5 and 6 were ordered from Lockheed Martin in 2014 under a $1.9-billion contract and will use the modernized A2100M satellite platform that will permit additional sensors to be carried by the satellites. GEO 5 and 6 are planned for launches in the early 2020s to extend data availability from SBIRS through the end of the next decade. 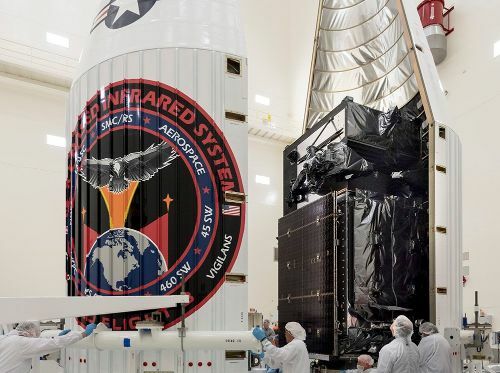 The fourth SBIRS HEO hosted payload will likely launch later this year on the classified NROL-42 mission believed to be a Trumpet signals intelligence satellite headed into a highly-elliptical Molniya orbit.